We have a rich history at Faith Lutheran Church. A small part of our history can be found in the bricks and mortar of our buildings over the years, in the passion of the pastors we have been blessed with, and in watching our Faith family grow. But since Faith’s beginning in 1958, our DNA hasn’t changed. Faith is – and always has been – a community of people on mission together who are all in need of a Savior – Jesus Christ. 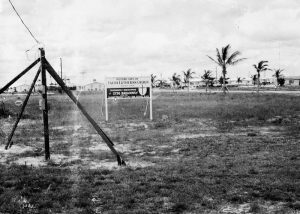 In January, 1958, a group of thirty people from Redeemer Lutheran Church, West Palm Beach, decided to establish a mission congregation in northern Palm Beach County. At that time Rev. Walter Schoech conducted services at Vogel’s Funeral Chapel in Riviera Beach. In September of 1958 the S.W. corner of Ebbtide and U.S. 1 was purchased for $33,000. On Sunday, December 7, 1958 the Constitution and Charter was signed by 54 members. 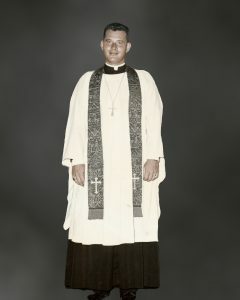 On January 3, 1960 the Rev. Robert E. Wolter was installed as the congregation’s first resident pastor. That same year in April, Faith Lutheran Church was accepted into the membership of the Florida-Georgia District of the Lutheran Church Missouri Synod. 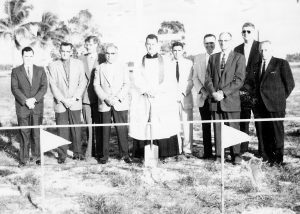 Groundbreaking for the Fellowship Hall was held on December 18, 1960 and dedicated on Sunday, May 14 1961. 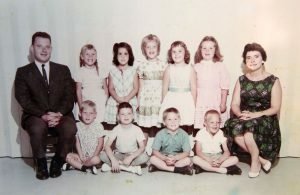 Faith Lutheran’s kindergarten began in the fall of 1962 with an enrollment of seven students. In 1966 a second class was added under the direction of Mary Casto. A new Christian Education Building was dedicated on Sunday, October 9, 1966, the 18th Sunday after Trinity Sunday. In October of 1970, the congregation began a preliminary study towards expansion of a new sanctuary. In March of 1971 the congregation approves the engagement of architects and the purchase of the 100’ x 300’ parcel of land fronting U.S. Highway One. Nils Schweizer of Environmental Design Group Inc. was chosen to lead the building program. Schweizer was greatly influenced by Frank Lloyd Wright, with whom he studied architecture in the prestigious Taliesin Fellowship program. He was a leader in the Mid Century Modern architectural movement in Central and Southern Florida at that time. In August of 1972, plot plans were approved by the congregation and in January of 1973, a model of the entire building program was displayed for the first time. 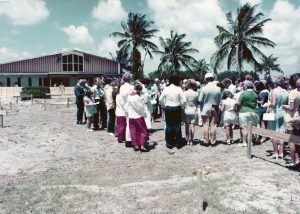 Groundbreaking services for our new sanctuary were held in April of 1974 on Easter Sunday. In January of 1975, the cast bronze bell was installed by Verdin Bell Company of Cincinnati, OH. 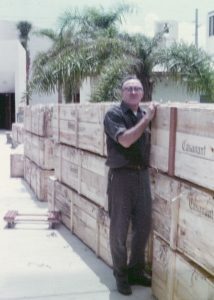 In June of 1975, the pipe organ was installed by Casavant Freres Limitee of Quebec, Canada, organ makers since 1879. It contains 22 ranks of over 2000 pipes. It has two manuals and a pedal clavier. On June 22. 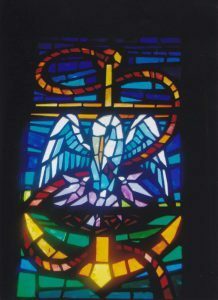 1975, the chancel window was installed by Fort Wayne City Glass of Fort Wayne, IN. The ancient symbol of the mother pelican feeding her young with her own blood, is a symbol of our Lord’s reconciliation for us. Christ shed His blood for us so that we may have life abundantly. The pelican rests on an anchor, the symbol of our everlasting life and daily hope. 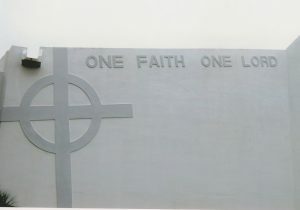 The “One Faith, One Lord” on the front wall of our sanctuary comes from St. Paul’s letter to the Ephesian’s entitled “Unity in the Body of Christ” It reminds us that through baptism, we are one in Christ. 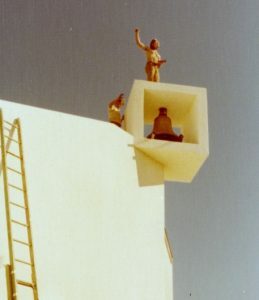 Faith’s sanctuary was dedicated on the third Sunday after the Epiphany and the Conversion of St. Paul; January 25, 1976. 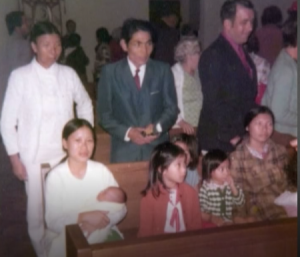 When the Fall of Saigon began in 1975 the congregation knew they had to take action and contacted Lutheran Immigration and Refugee Services (LIRS). 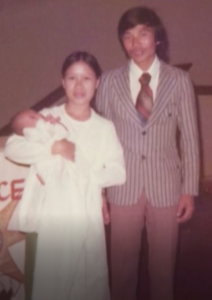 Soon LIRS connected the congregation with a Vietnamese family resettling into the North Palm Beach area. That first family was the beginning of an over 40 year ministry of service to over 200 refugees resettling into the Northern Palm Beaches. In 1982, the congregation resolved to expand it’s facilities again in celebration of it’s 25th year of ministry to be observed in 1985. Preliminary plans for an administration building and education wing were completed. 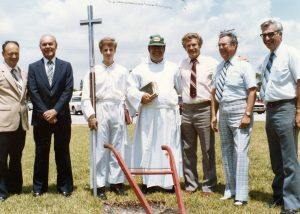 Groundbreaking services for Faith Lutheran School and administration building took place on Sunday, May 20 1984, the Fifth Sunday of Easter. Dedication services were held on Sunday, November 3, 1985, All Saints Sunday. In 1994, the congregation directed it’s leadership to proceed with a program that became known as “Together We Grow”. In the fall of 1996 an opportunity arose to purchase the Medical Arts building and adjoining property at 301 Ebbtide. On Sunday, March 2, 1997, the congregation decided to purchase the property and begin renovation for the two story Faith Lutheran Care Center. The congregation, through prayerful consideration and guidance of the Holy Spirit, decided to expand it’s ministries to include toddlers under the age of three and senior citizens, two growing areas of our community that needed caring attention. The top floor of the care center houses New Day Adult Care and the bottom floor is home to toddler care; 6 classrooms, a play room and a reception desk. 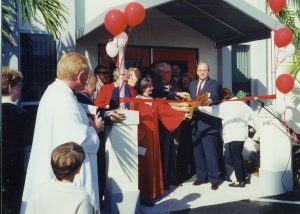 Groundbreaking services for the Faith Lutheran Care Center were held on Easter Sunday, April 12 1998 and dedication services were held on Sunday, February 14. 1999, The Transfiguration of our Lord. 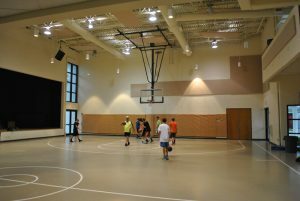 The Frank E. Michel Family Life Center has a gymnasium, kitchen, multipurpose room, library and four classrooms. It can also be used as a shelter for the community when times of emergency. It was built for the community to use and enjoy. Groundbreaking services for the Frank E. Michel Family Life Center were held on December 3, 2006 and the building was dedicated on December, 30 2007.